Jewish Agency Chairman Natan Sharansky delivers back-to-school message for Israeli children and parents. 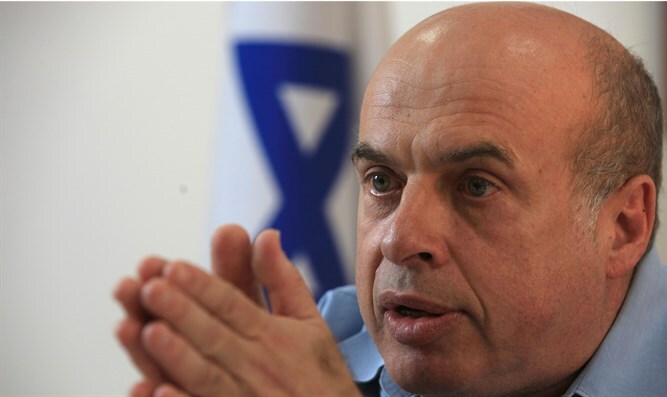 In a message to Israeli schoolchildren, Jewish Agency for Israel Chairman Natan Sharansky urges acceptance of new immigrants and the embrace of all Jews. In a video uploaded to Facebook, Sharansky tells children how to make the perfect Israeli sandwich. His sandwich has a base that's "hard on the outside and soft on the inside, Just like all of us Israelis," with "olives, a symbol of peace." Topping it off is "a little salt" symbolizing "a little Israeli chutzpah." We're starting a new school year, and we're all excited. I have a request: In your classrooms you'll meet many new immigrants from different countries. Sometimes their Hebrew isn't good. They are a little nervous and a little shy. Open your hearts and your homes. Embrace them with love as the Jewish people embraces them with love. They will succeed, because there is no better integration than integration into a loving family. Have a successful school year and bon appetit to us all. Sharansky was a Soviet prisoner of conscience who was able to immigrate to Israel in 1986. He has served in the Knesset and in various ministerial roles.